As a student in high school, Neil Weiser was both a radio fan and a WOR-FM fan. He contributed the following articles he wrote at the time. This is an interesting interview given its timing... just after the change to the Drake format. Stone defends the format change and explains the reasoning behind it. 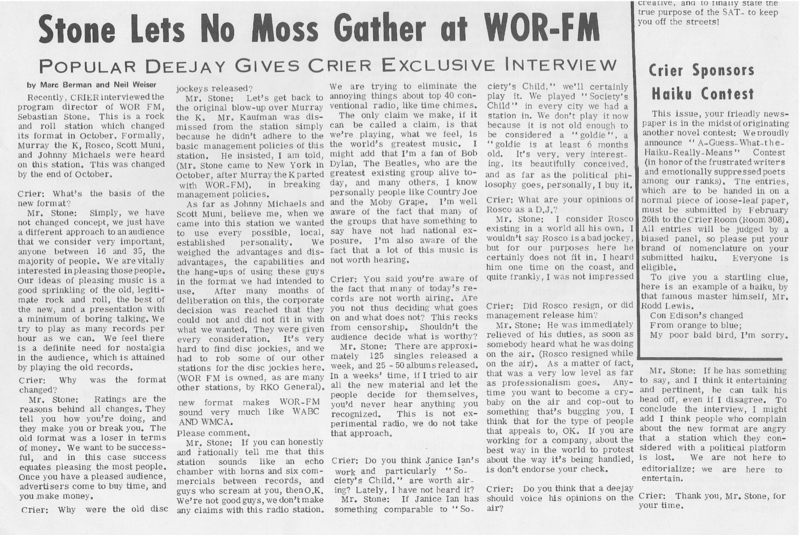 Rosko comments on the change at WOR-FM and his new job at WNEW-FM. He also explains where the name "Rosko" came from !